Exploring the depths of a dark and foreboding dungeon has just taken on a new dimension. 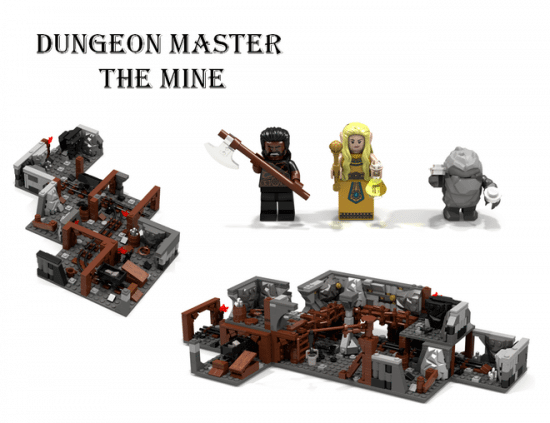 Lego fan Dungeon Master recently submitted “The Mine” as a new Lego concept up for consideration on the Lego Ideas website. This fantasy role-playing game gives a visual depth to the exploration and adventure of monster (and treasure) filled subterranean lairs. “Three brave heroes await your story. No one knows what adventures they will have, no one know what dangers or monsters they will encounter on their journeys and quests. Are they on a treasure hunt? Are they on a quest to eliminate the evil bonelord or are they simply curious and want to unravel the mysteries of an abandoned keep. No one knows what lies hidden in the forgotten rooms. No one knows how far the cellars extend into the lower layers of the earth. No one knows, except YOU, Dungeon Master! With this set you can create your own dungeons and lairs for the heroes to investigate. There are dozens of possible layouts and setups. You can place the rooms in any sequence desired to create the lair you like. 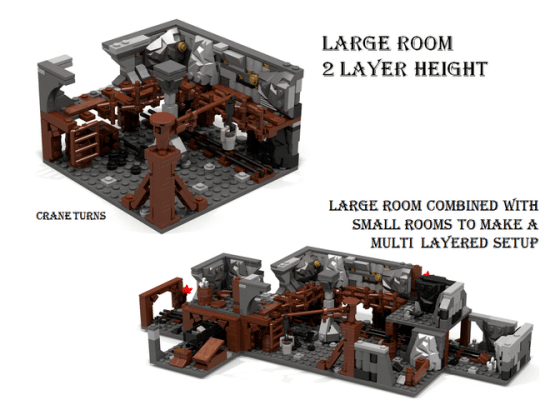 This potential playset can be rebuilt into several different layouts and room combinations and includes min-figures for use in the various rooms. 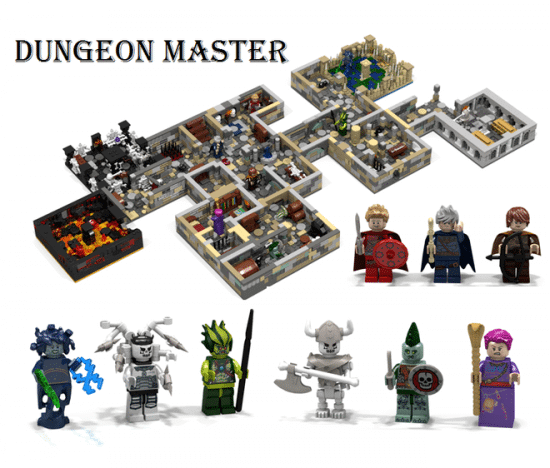 Excellent for the Lego fan into Medieval fantasy or the Dungeon Master/Storyteller looking for a new way to expand the quest. 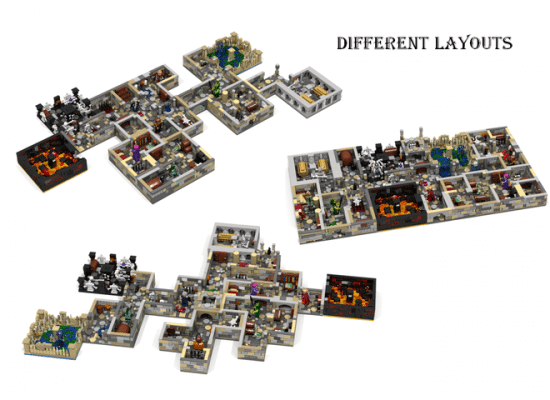 The set has reached the required 10,000 user support and is now awaiting approval by the Lego Review Board. There is also a smaller version of this adventure up for consideration. Dungeon Master The Mine is designed to be more affordable and has a gold/gem mine cart theme. 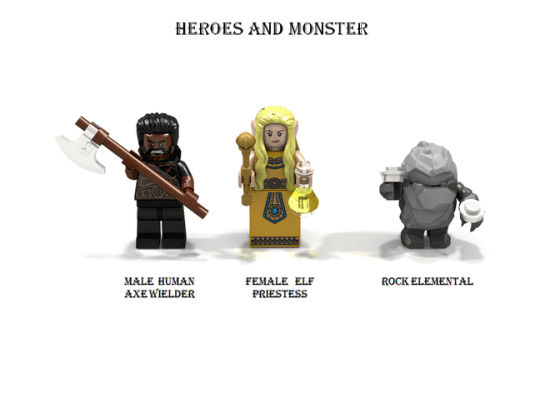 Lego Ideas is a program where builders can submit their ideas for new Lego sets. If the project gets the support of 10,000 or more users, it is reviewed by the Lego Review Board for production consideration. Not every project makes the cut. Those fortunate few whose projects are chosen for production are featured on the packaging and receive a royalty on sales of the item(s). Details of the program can be found here. Yeah, duh. Lego should have come out with this two decades ago. He’s not the first guy to think of it.